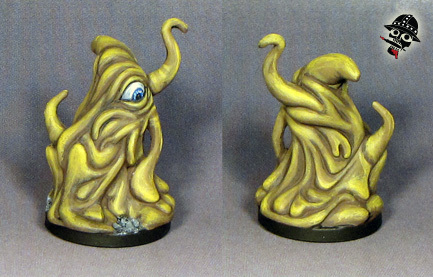 This figure was half painted for about two years, and I painted it because I just wanted to paint that eye... Something about painting eyes on giant slime monsters that seems fun! It is a touch one because there's a lot of blending. Honestly, I'm not super happy with it, but I think it looks pretty good!